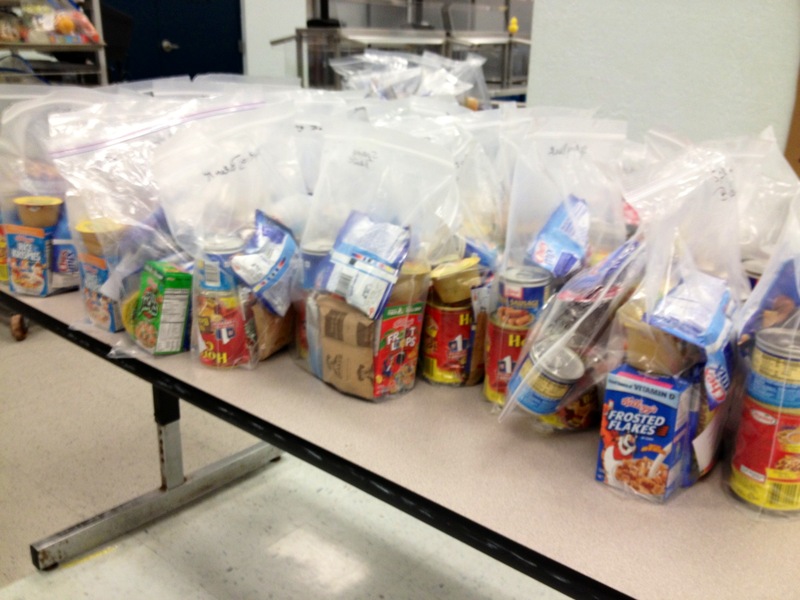 Every Friday, volunteers from Sunlight head on over to Manatee Academy at around 2:30 and set out over 100 bags of food for kids who otherwise would likely go hungry over the weekend. 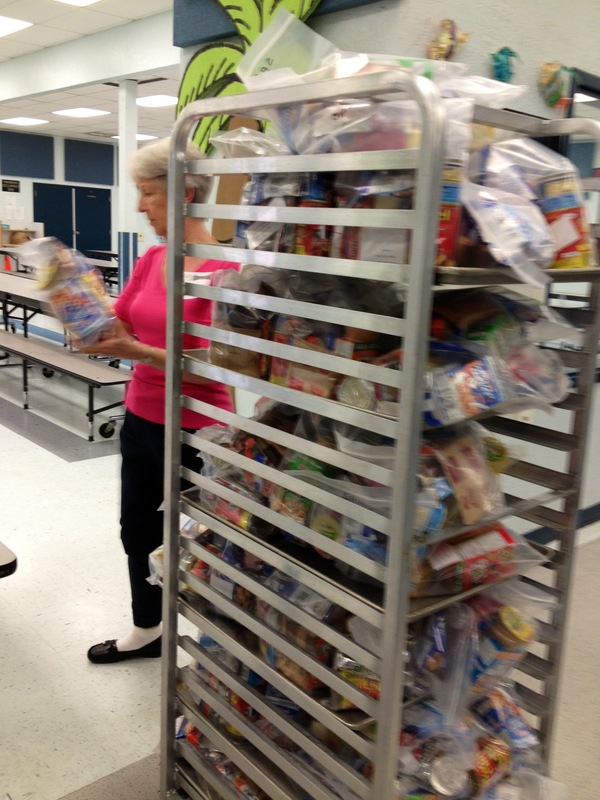 Members of the team go to the cafeteria on assigned Fridays, like JoAnn pictured here. 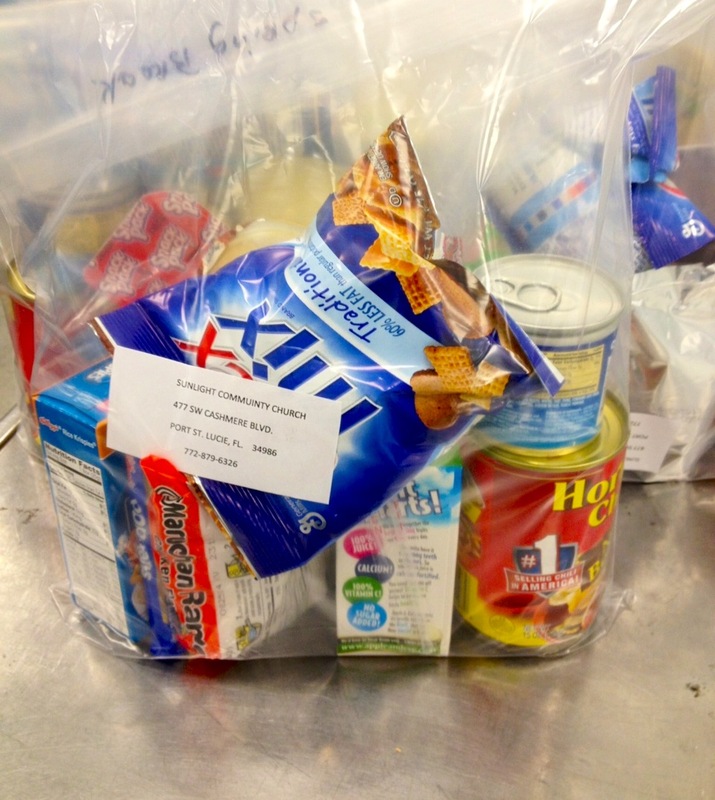 We wheel out the carts and put the bags on a table for the kids to choose from. Volunteers greet the kids and help put the bags in their backpacks too. Angee Walsh began the program here just over 2 years ago and it has since grown from packing bags for 27 kids to packing for over 100. 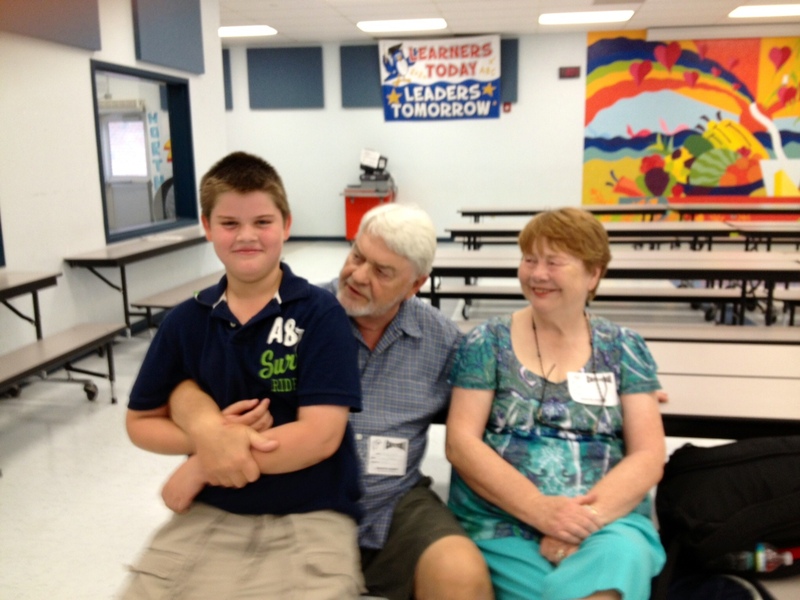 Here are Jim and Angee Walsh and their grandson Luke in the cafeteria at Manatee. Would you like to be a Backpack Buddy? We are still in need of donations for the remaining school year. Donations of individually packaged breakfast, snack, lunch, and dinner items can be dropped off at Sunlight in the bin marked for Backpack Buddies. Some Buddies donate food, others donate funds. The program runs at a cost of $500 per week and is funded entirely by donations. The school year began with a large turn out for the Chili Cook-off Fundraiser and in October, some Buddies baked lots of goodies for the Bake Sale table at the Fall Festival. Please take a moment to pray for the team, donation needs, and most of all the children and families. If you did, now you’re a Backpack Buddy too!